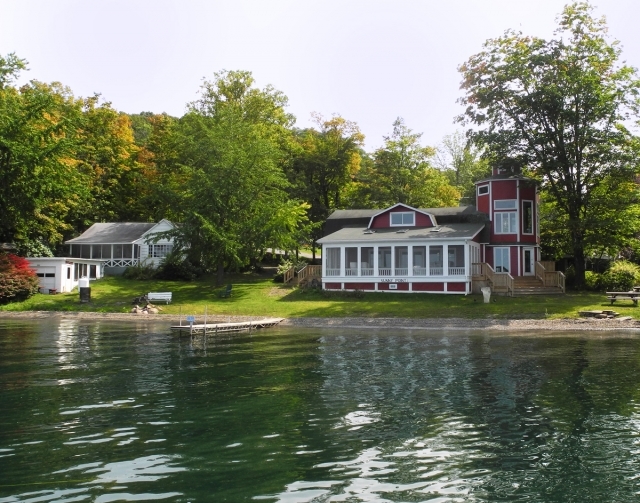 Sunny Point, located nine miles from the center of Penn Yan is on the eastern shore of Keuka Lake. 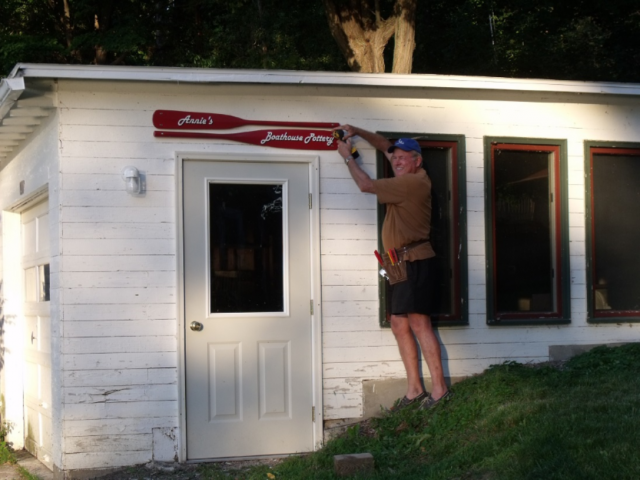 It includes a traditional lakeside cottage, Annie’s Boathouse Pottery, a studio barn for painting and drawing classes and a workspace for Artist in Residence and Artistic Retreat programs. 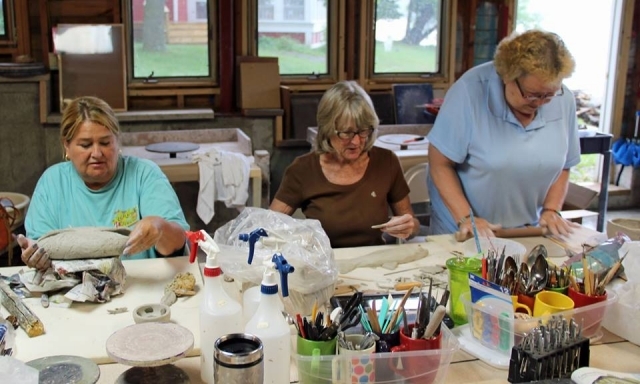 Within the pottery studio are 4 potter’s wheels, a slab roller, pottery tools, kiln and tables used for creating and glazing. Cone 5 glazes and clay (please note that only clay purchased from the Arts Center pottery studio may be used at Sunny Point) are available for use with studio fees. Open studio time is available for a fee. Raku workshops are also offered. 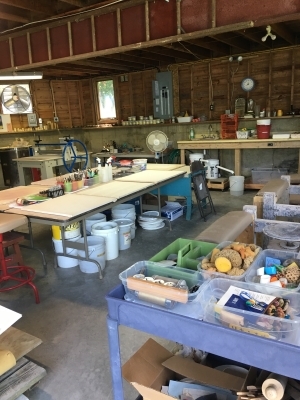 A summer intern is available for studio maintenance, kiln firing and consultation. No landline or internet service is available. Starting June 13, open studio hours are: Wednesdays 12 – 3 pm, Thursdays 10 am – 2 pm, Fridays 3-7 pm and Saturdays 10 am – 3 pm.